Today, The Wall Street Journal reported that McDonald’s will start carrying Honest Kids in their Happy Meals starting in November. We couldn’t be happier! This is the kind of moment I daydreamed about 20 years ago when my co-founder Barry Nalebuff and I were struggling to launch Honest Tea – when less sweet-tasting and organic drinks were considered niche. We hoped one day we would find a way to make these drinks available not just in natural food stores (though we love those stores! ), but to all Americans at an affordable price. This is a big deal for the organic movement – for decades skeptics had charged that there would never be a way to grow enough organic crops to feed the world at a competitive price point. Coca-Cola believed in our mission, and, through its Venturing & Emerging Brands Unit, we grew together to embrace a new proposition for The Coca-Cola Company and provide Honest with the resources to grow national and international scale. 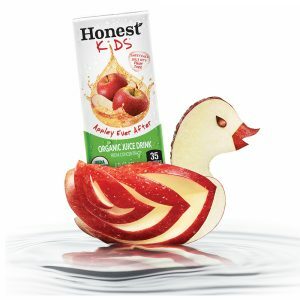 Today’s news represents a major milestone in Honest Tea’s campaign to democratize organics, though of course not the end of the journey. This is also a step to help cut calories. By including 35-calorie Honest Kids on the menu as an option, McDonald’s and Coca-Cola are taking strides toward making new beverage offerings more widely available to parents and their families. This is an exciting moment for entrepreneurs who dream of taking powerful ideas to scale. I will be the first to admit that back in 1998 we didn’t have a roadmap. We just wanted to sell our drinks with a commitment to sustainability and transparency. Other than that, we had some nice label designs and a ton of passion. Without Coca-Cola’s relationships, Honest Kids would not have been able to gain access to the customer and to the global supply chain to make this opportunity come to fruition. I’ve knocked on enough doors to know that a pleasant smile is not enough to secure and guarantee supply contracts from organic apple farmers from Argentina to Turkey. This is how change happens— one menu item at a time, one meal at a time. And we couldn’t be more thrilled to be part of it!